The on-board computers, displays and user interfaces manufactured by Gamma Technical Corporation may serve as the central data acquisitioning, displaying and controlling units of measuring, monitoring, surveillance or C2 systems installed on a vehicle. The units and the system they make up are highly customizable to meet user requirements, the application's hardware needs and the available space in the vehicle. 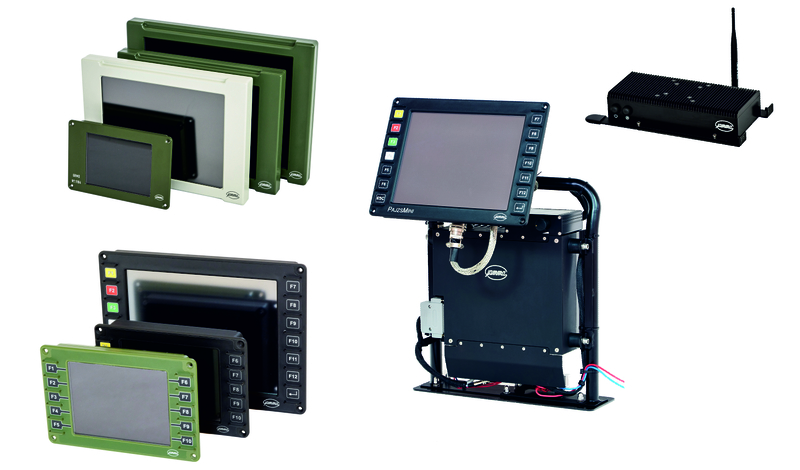 Rugged displays are available in sizes between 6.5” and 42”, with optional touchscreen and pushbuttons.